We live in a time of such confusion in the Catholic Church. There seems to be a movement towards a liturgy and a faith that is bland, so as to be palatable to all religions. So many wonderful churches were wrecked in the 70’s and 80’s (what traditional Catholics call wreckovations). The beauty of the Catholic Church, the same beauty that drew so many of us to the One, Holy, Catholic & Apostolic Church, is seen as excess and unnecessary by some. Even now, there is a movement by the Church hierarchy to strip the Church of all that makes it uniquely Catholic. 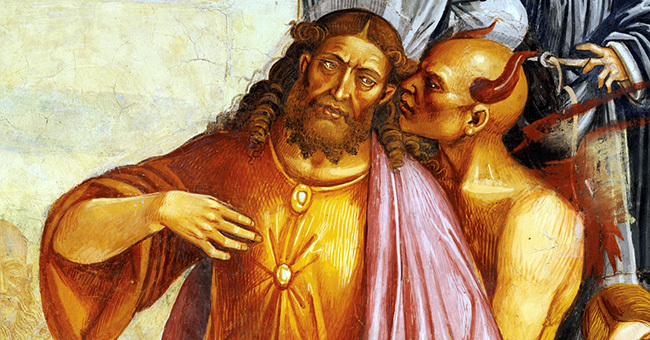 The side effect of “Catholic Shame” is a Church that is hemorrhaging through many wounds. The laws of God are under attack. It is a comfort to know that all of this was predicted. I stumbled upon a meme posted on Facebook, which shared a quote from Venerable Fulton J. Sheen. 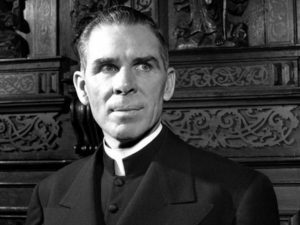 This prompted me to research its source and I found this wonderful Sermon by Fulton J. Sheen on the “Signs of the Times”. He, along with many others, predicted all of this mess. Listen to the sermon through video (below) . What comforts you in these tumultuous days? What keeps your faith steady? If you purchase any of our recommended products, we might receive a commission at no extra cost to you. Thanks for supporting Beautysoancient.com! Are Things Really That Bad in the Church Right Now? What comforts me about keeping my fatith steady is that I (still) have that “still, small voice” telling me that much of what I hear against my faith is just so much rumor and innuendo. Some people do prefer not to know and some prefer to know. Whatever works for you, my brother.